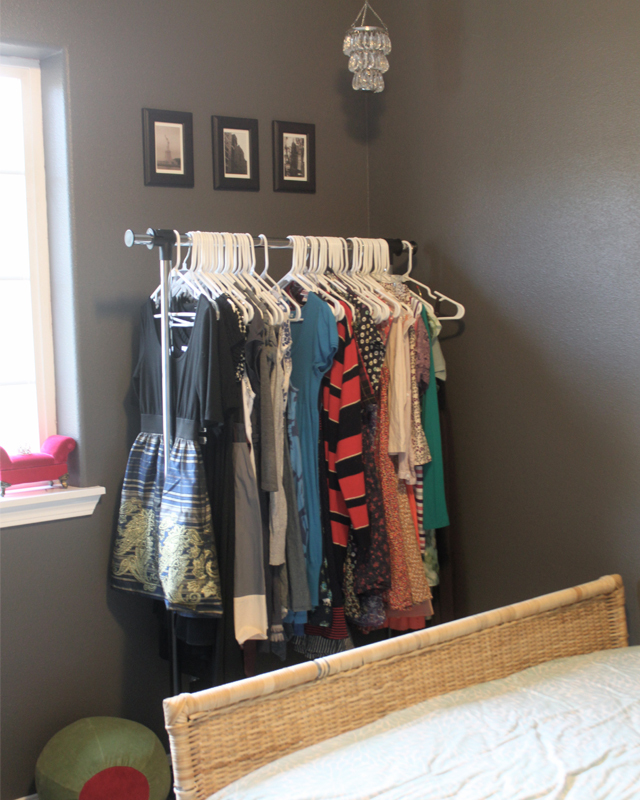 I have long dreamed of having an extra bedroom that I can turn into my closet. 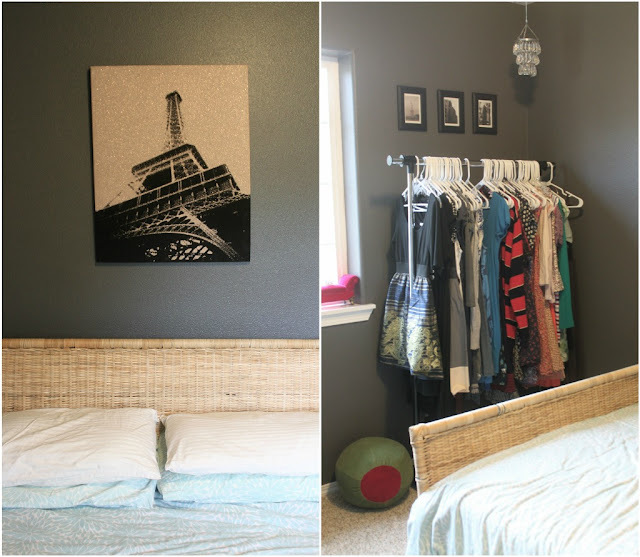 Now that we have our own home, I can make this dream into a semi reality :) While we don't have a lot of extra room here, I founds some creative ways to turn our extra bedroom into my closet/dressing room (while still being our extra room for guests). Before, the walls were a red-cayenne color. Now they are a dark grey. Picture Frames: IKEA - $1.99 each. Artwork: My photos from NYC a few years back. the scent reminds me of Miami. An assortment of shoes & purses. 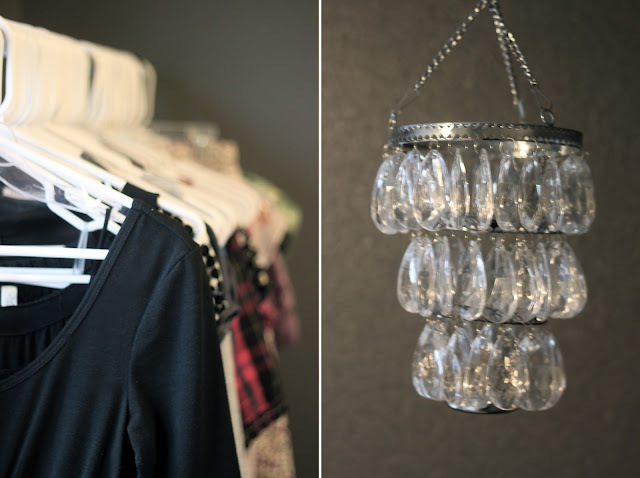 Mini chandelier: Z Gallerie - I looked online but it isn't for sale anymore. Love it. I love the wall color. I have two rooms in my home that are different shades of gray. you can do so much with it. I love what you did to the room. Its a "dressing" room, but still so cute and comfy for guests. So fun to see the progress on your house! Also, I love your perfume collection! That Givenchy one has been on my list for a while. The wall color is fantastic. I have the hemnes collection and I also love it (we just got adult furniture.) Question...how are you storing your shoes and purses? In the closet, dresser, etc? This is fantastic! Oh geez, this is now my new dream to have a closet/dressing room - alas, I live in a 500 sq. ft. studio, haha. 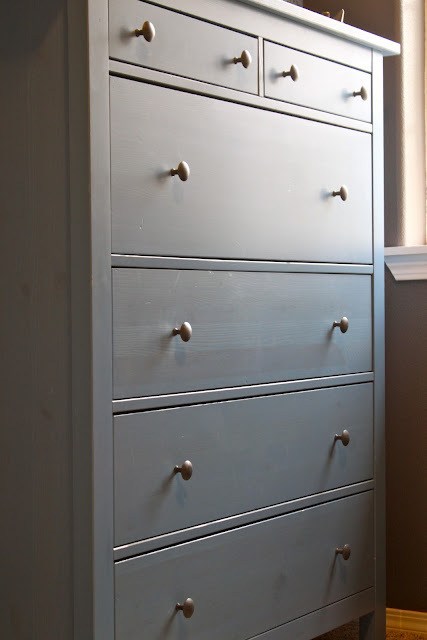 And I adore that grey paint! This looks so amazing! I love the little details. I also love that olive pillow :o) Reminds me of the Fujiokas! I'm jealous you are able to have a guest room/dressing room! that dark grey is perfect! and so is that mini chandelier! I love love love your wall color & chandelier!